Students and staff will wear HERO shirts on Wednesdays for this proactive, anti-bullying campaign. 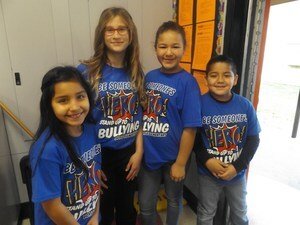 John J. Doyle Elementary School started its “Be Someone’s Hero! Stand Up To Bullying” anti-bullying campaign. The school will be proactive by designating Wednesdays as HERO Day. Students and staff will be wearing a HERO shirt as a reminder that everyone is a HERO and stand up to bullying together. 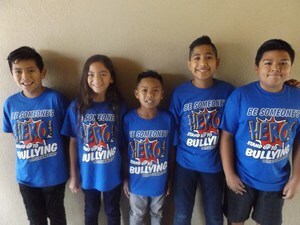 PUSD Cares is the district-wide program for members of the community to report any incident of bullying. To find out more information about PUSD Cares, please go to www.portervilleschools.org and find the PUSD Cares page under the Parents section.